Not to stay, just for a visit. For the first time since I was just a squirming, bald-headed baby, members of the Irish branch of the McCormack family are coming to the Twin Cities. Paddy Kelly was on a GAA tour of the States in 1972 when he swung my great-aunt Nellie Marrin’s home in South Minneapolis. That’s where he snapped this photo. 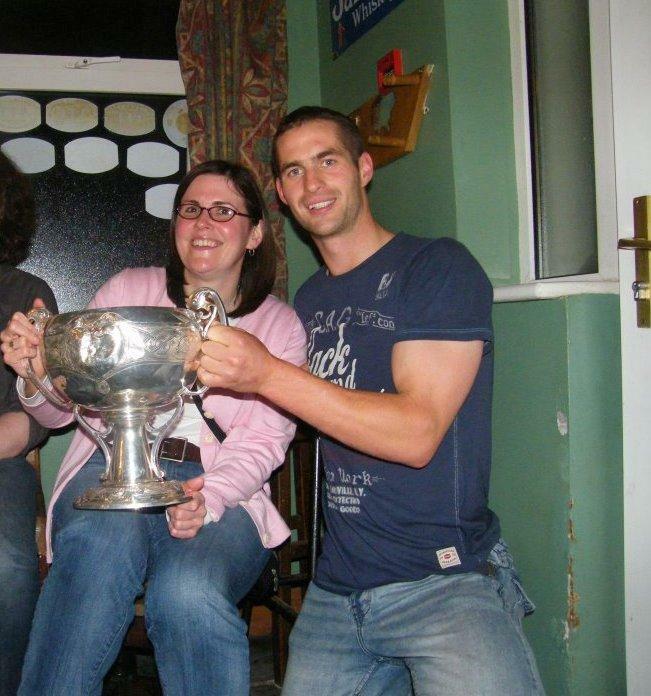 The photo resurfaced in 2011 when the four of us in this photo had dinner with our cousins the Kelly family in County Laois. I kind of like the idea that this snapshot of us had been in Ireland for most of my life. Even in the years I was not aware or relatives in Ireland, that photo sat in some album or box, like the old photographs of my great-grandfather who left Ireland at the end of the nineteenth century. But in less than a month, Martin and Marian McCormack will be joining us in Saint Paul. We’ve met up with them in Ireland when we visit, but I can’t wait to see them on our turf. This is not their first time to the States, but it will be their first trip to Minnesota. I think the Twin Cities will show off pretty well in the September weather. Marian said she wasn’t interested in shopping, so I think we will skip the Mall of America. Several years ago Martin expressed that he didn’t need to see another pyramid or temple so I won’t suggest a tour of the Cathedral of Saint Paul. Luckily, there are plenty of other things to do and see here, so I am not worried. I wonder, though, what other Irish people who visit the United States like to do while they are here? Or what do they find unique about America? I know what I like to do in Ireland, but I wonder what Irish people like to do when they are here? Categories: Cousins | Tags: Ballyedmond, Kelly, Marrin, McCormack, Minnesota, Rathdowney, Saint Paul | Permalink. Ireland occupies 27,136 square miles of Mother Earth’s surface. As of 2011 about 4,581,269 people inhabit that area. As a comparison Minnesota, where I live in the United States has about 5,200,000 folks spread over about 86,934 square miles. Just how small was illustrated by an encounter I had on a recent trip to the homeland. One of my goals on that trip was to meet the members of the Loughman/Kelly branch of my McCormack family tree. My grandfather’s youngest sibling Johanna McCormack who was born at Ballyedmond, Queens County (now Co. Laois) in 1874 married James Loughman from Killadooley in 1904. For many years Aunt Johanna, as she was called, corresponded with my aunt Nellie McCormack Marrin in Minneapolis. Johanna’s daughter Catherine Loughman, who would later marry Tom Kelly, continued the correspondence with my Aunt Nellie. As part of my search I had acquired several photos taken of family in Ireland when my cousin Eileen Hamm Garding had visited in the mid 1970’s. I had already identified the people in most of the photos. I was however stumped by a photo in which the only two of seven people pictured that I knew were Eileen and our cousin Kate Loughman Kelly. On my second day in Ireland I met Michael Kelly, Kate and Tom Kelly’s oldest son. The way that meeting came about is a story to be told another day. For our purposes today let it suffice to say that Michael was easily able to identify the other people in the mystery photo. They were Nan Loughman Wall, Kate’s stepsister, Nan’s son Mick, his wife, and their two daughters. The names are only important because of what happened next. Two nights later my family and I were attending a victory celebration in a pub in Clogh. It just so happened that the Hurling team from Clogh/Ballacolla had recently won the County Laois Championship. The reason we were at the party is that another cousin Johnny Delaney was the captain and star of the team. While enjoying the celebration at the pub I was introduced to a fellow named Mick Wall. The name sounded familiar but I could not place it. I do have about 1700 names in my family tree. After a few minutes it started to come to me. I asked him if his parents were Mick and Madge. Sure enough he was the son of the family in the mystery photo that had just been identified two days earlier. Where but in Ireland could a Yank from St. Paul Minnesota be celebrating with the team captained by a cousin in one of the smallest hamlets in the County run into the son of a man on the mystery photo? Categories: A Visit Home, Cousins | Tags: family, Kelly, Laois, Loughman, McCormack, photographs, Wall | Permalink. My dad has thoroughly researched the family tree, and several years ago, he learned that his first-generation Irish American father had visited Ireland as a young man in the 1930s. My grandpa’s first cousin Paddy McCormack (of Rathdowney, County Laois) was a boy at the time and recalled the visit. This intrigued me and of course I had a bunch of questions that no one could answer. By default, my imagination took over and I created a dramatic tale surrounding my grandpa’s return to his father’s birthplace in Ireland. Last month while in Ireland, my dad and I were chatting with Michael Kelly (see previous post). One of the first things out of Michael’s mouth that afternoon was, “The day my mother received word that Bill McCormack had passed away was a sad day indeed…” I had heard such sentiments over the years, but what made this different was what followed. Michael went on to say that when my grandfather came to Ireland in 1934, his mother (and Bill’s first cousin) Katie Loughman showed my grandfather all around the area and introduced him to neighbors and relatives. Stories of horse races and touring, nights out and singing – it sounded like they had a fabulous time and Katie and Bill became great friends. Katie also corresponded with Bill’s sister Nellie for many years. I was thrilled to hear Michael tell the stories of my grandfather’s Irish visit. For the first time I could associate joy, humor, and fun with my grandfather – things I always suspected about him, but I was unable to get past the sorrow of his untimely death. Thanks for the stories, Michael Kelly. I am that much closer to learning about my grandfather. Next time, guest blogger Jim with his observations on family history and his recent trip to Ireland. Categories: A Visit Home, Cousins | Tags: Ballyedmond, Kelly, Laois, Loughman, McCormack | Permalink. In less than a month, we leave for a two-week visit to Ireland. Naturally, I can’t wait. Although this is my seventh trip to Ireland, I think I am as excited as I was the first time I visited as a sixteen-year-old high school student in 1988. Quite a bit has changed in the past twenty-three years, and each trip I’ve taken to Ireland has had its own unique flavor. I have stayed in all types of accommodations (except this one…would love to try it!) and visited nearly every county in the Republic, as well as the North. On previous trips, there may have been times when we’ve tried to do and see way too much, but not this time. We are staying in the same place for the entire two weeks, and I am content to remain within a 15-mile radius of our rented house. I will have everything I love in Ireland in that zone – brown bread, ruins, a good pub (or two), family, farmhouse ice cream, chocolate, a museum, and cows. Now, the ice cream is a bit outside of the 15-mile zone, but it is still in County Laois. Can’t wait to see the McCormack relatives. We will be a few short miles from the farm my great-grandfather left behind when he came to America at the end of the nineteenth century. My dad has been in touch with more relatives in the area, so he is planning another get-together (read about our first adventure in entertaining back in 2009 here.) This makes me a little nervous…maybe last time was a case of beginner’s luck? I am excited for Tuohy’s Bar, and I hope we can make it to the Monday night sing-a-long on our first night in Ireland. I have never quite mastered the tricks to dealing with that initial day of jet-lag. I never know if it is best to take a nap at some point and risk not waking up or to power through and nearly fall asleep at dinner. I don’t want to snooze away my first day in Ireland, nor do I want to be so tired I see double. Maybe I will actually get some sleep on the plane this time! Categories: Cousins, Warm Welcomes | Tags: Laois, McCormack | Permalink. 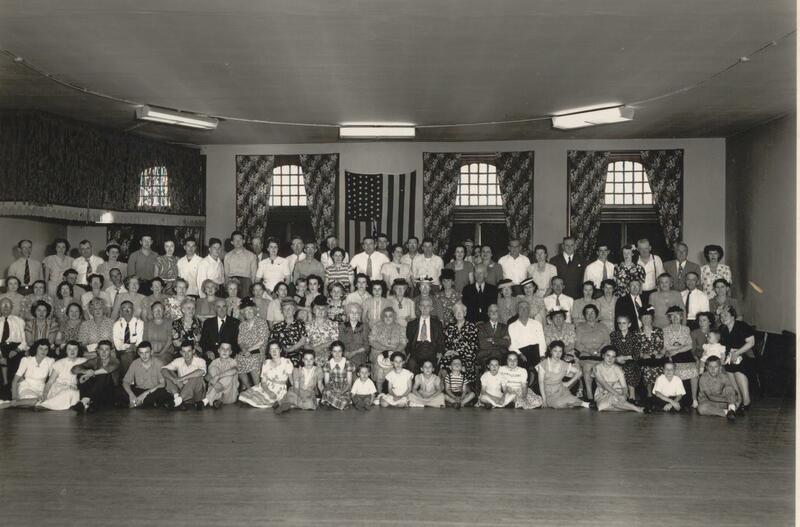 Jim, senior researcher for Archival Solution, writes about how his quest to identify all of the individuals in this photograph has resulted in new discoveries about his family research and new family connections. He shows how photographs can often serve as catalysts in our research, leading us to dig deeper and develop a richer, more comprehensive understanding of our family’s history. Aine’s stories on her blog The Irish in America always motivate me to keep working on my own family project. For the past twelve years I have been researching the family of John Cormack who was born at Lochmoe in County Tipperary, Ireland in the last decade of the eighteenth century. 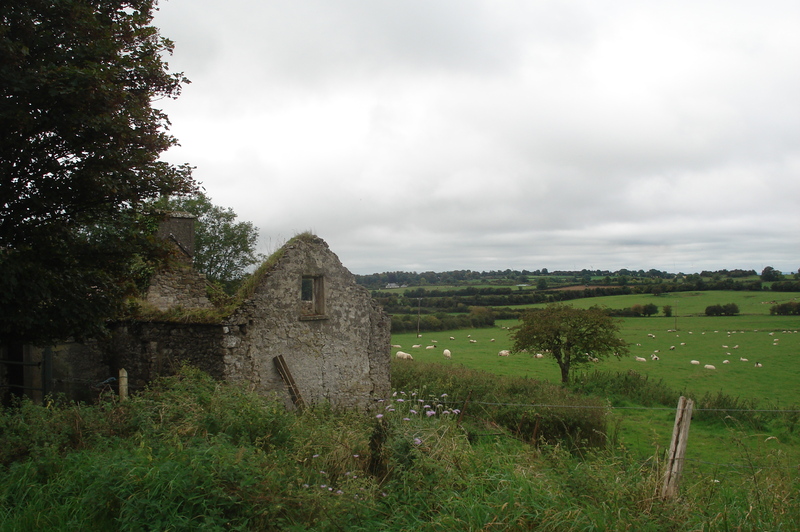 According to family tradition he drifted up to Ballyedmond in Queen’s County (now Laois) where he married Catherine Purcell and started a family that would give several sons and daughters to the United States. My study has raised and answered many questions. Among those was: “What is the reason for the multiple spellings of the family name? Why are there some “McCormicks” and some “McCormacks”? That answer is for another day however. One of the other long-standing questions involves a picture given to me by a cousin about seven years ago. I knew it was a photo of a family function and there were 107 people in it. Of those I knew the identities of five individuals, including my Grandfather Andrew McCormack and his brother Mike McCormack, always known as our Uncle Mike. Uncle Mike’s wife, Katie Hannon and two of their first cousins were the others that I recognized. Being rather new to family history at that point I set a rather lofty goal for myself. I decided I would identify all 107 people in the photo. The picture was taken in July 1946 at the celebration of the 50th wedding anniversary of Phillip J.K. McCormick and his wife Ellen, nee Craven. Phillip was my 1st cousin two times removed. My Cousin Zack Krueger, Phillip and Ellen’s grandson was very helpful in providing names for many of the faces. Every time I meet or correspond with a relative I pull out my photo and try to jar their memories. As of May 25, 2011 my goal is in sight. I have identified all but eleven of those pictured. Complicating the process is that there are both McCormick and Craven relatives as well as many friends and neighbors of the family. Another problem is that there are people in the photo that are related to some of my relatives but not related to me. For example out of the fifteen Dalys shown in the photo I am related by blood to about half of them. Categories: Cousins | Tags: America, Ballyedmond, Burns, Craven, Daly, Hannon, Krueger, Laois, Lochmoe, McCormack, McCormick, McDonald, Minnesota, Nugent, Petek, Purcell, Tipperary | Permalink. Remember James who was looking for descendants of relatives who emigrated to the US from Glenamaddy, County Galway? Jim, the head researcher with Archival Solutions, tracked down several leads for James based on the information he provided. James was trying to locate his mother’s brothers and sisters in the historic records, with the ultimate goal of finding living relations. Only one of his uncles remained in Ireland, and when he died his widow sold the farm in Glenamaddy and moved to Scotland. James’ mother was the youngest sibling, and she moved from Glenamaddy as a young woman. The five remaining McGuire siblings emigrated to America. Just to keep you up to speed – I have now had several emails (along with photos) from two of George and Arlene’s daughters. 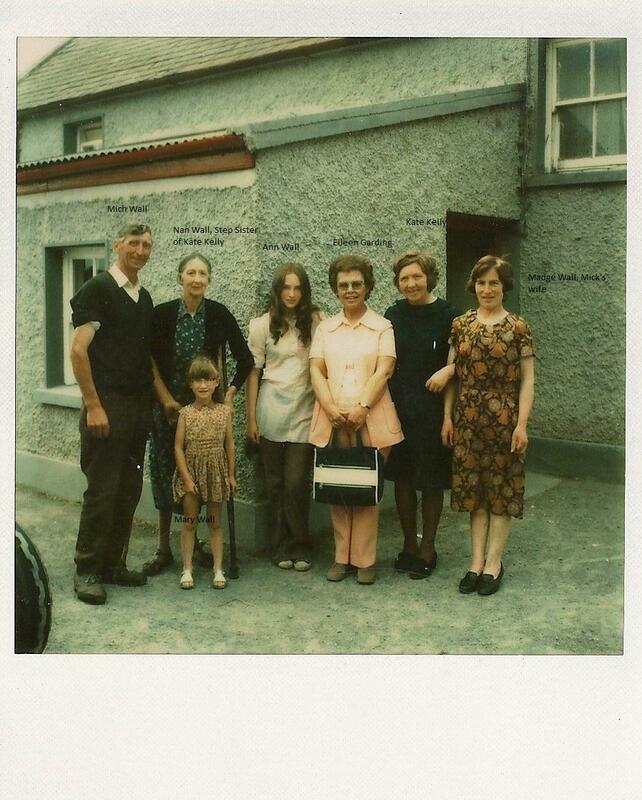 One lot of photos showed the old farm buildings in Glenamaddy, along with one the people who remember the family. He lived on the farm just below the McGuire family. The sons of their daughter Linda, like my sons have red hair and her two boys would pass as brothers to my two sons! They have also been in touch with other member of the family throughout the States. My wife and I will finally meet Henry & Susan in September when our cruise ship docks in NY and we are staying over for a few days before flying back to the UK. So you see you and your Dad’s work paid outstanding results for me – I will be forever grateful. God bless you and yours. How fantastic that the children and grandchildren of the McGuire sisters are able to compare notes on family history, photographs, and memories! James had photographs belonging to his mother of American relatives that he is now able to identify. I can’t wait for an update later this year, and am delighted we were able to help James find the American branch of his family tree. Emigration tore so many Irish families apart over the years; it is nice to know that it is never really too late for family to come together again. If you are interested in learning about what happened to Irish relatives who emigrated to the US, or would like to connect with your long-lost cousins, please visit our Find Your Cousins page for information on how we can help you like we helped James. And do not hesitate to contact us — we would love to hear your stories! Categories: Cousins | Tags: America, Galway, Glenamaddy, McGuire | Permalink. 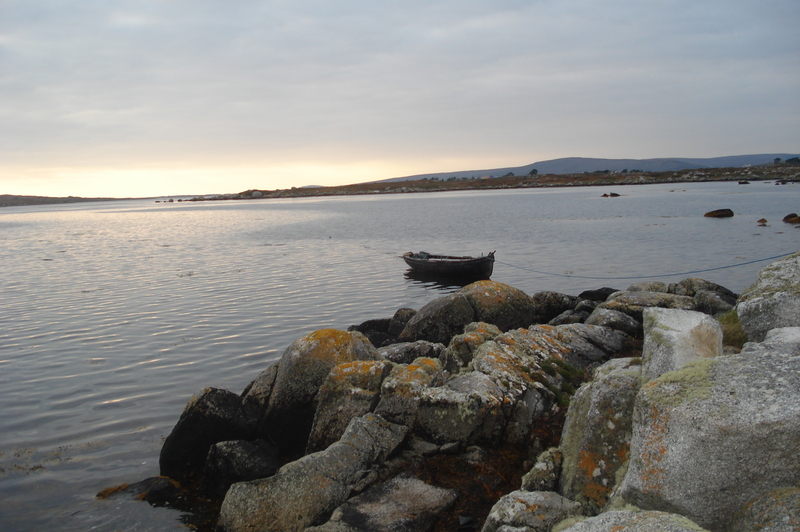 I am trying to trace family members on my late Mother’s side who came from Glenamaddy, Galway. There are the McGuire’s who went to Yonkers New York. Brothers James, Micheal and sisters Mary, Cathrine. James married Julia Higgins on 20 Sep 36 and James Jr married 1 Dec 62. This seemed straight-forward enough, so when an initial search turned up nothing, I was a bit disappointed. I knew there had to be something out there about James’ family, so I went to an expert. This was a job for Jim, the head researcher for Archival Solutions. Genealogy research often requires a good amount of detective work, and this situation was no different. Jim was up to the task and in no time he told me he had a name of a possible relative of James living in Yonkers, New York. Researcher Jim was able to trace, not the brother Jim for whom we had a spouse name and marriage date (as well as child’s name and his marriage date), but one of the McGuire sisters. Catherine married and settled with her husband in Yonkers, New York, where the couple had one son. I passed the information to James, and I was struck by the appreciation he expressed. He told me that he telephoned the individual Jim had found, and indeed it was his first cousin. This was the first time that James had ever spoken to a relative on his mother’s side. James said they spoke for a “very long time” and his American cousin has filled him in on some family history. 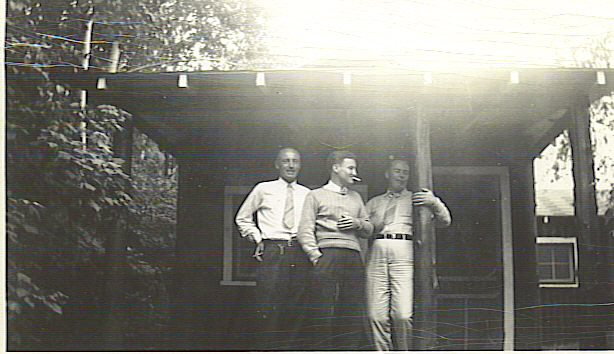 James put together a package of family photographs to send to Yonkers, and has some rather fragile old letters that he will hand-deliver when the cousins meet in New York later this year. I think I would call that a success! James, please keep us posted on your future family discoveries! 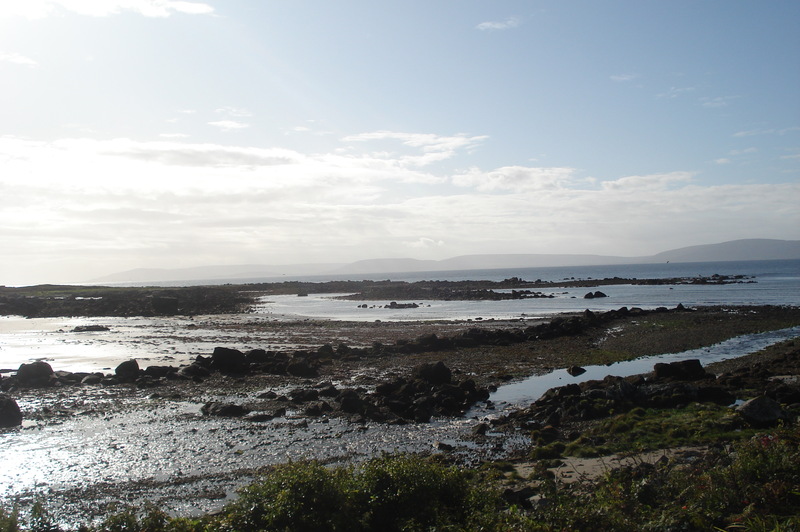 Categories: Cousins | Tags: Galway, Glenamaddy, McGuire, Yonkers | Permalink.